A new cricket podcast from BBC Radio 5 live and BBC Asian Network features chat, debate and special guests with a focus on the South Asian cricketing community. 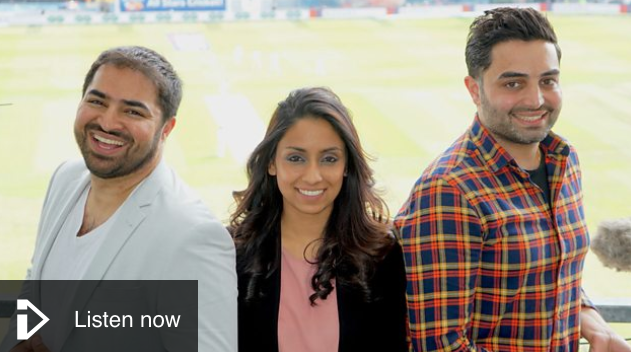 Presented by England Women’s player Isa Guha, Pakistani fan and stand-up comedian Aatif Nawaz and BBC Asian Network host Ankur Desai, The Doosra is launched as Pakistan and India tour the UK. As well as featuring Sri Lanka and Bangladesh, The Doosra will focus on other emerging South Asian nations like Afghanistan and Nepal. Each week, the presenting trio will be joined by a host of voices from the world of cricket, with IPL superstar Jos Buttler their special guest for the series pilot. The first episode, now available online, features special guest Waqar Younis, the former Pakistani cricketer and coach regarded as one of the best bowlers of all time. A Doosra – in cricket terms a type of delivery by an off-spin bowler – is translated as ‘the other one’ in Hindi and Urdu. The first episode is available now via the BBC website.